(A) If she had not been preserved, Mary would have contracted original sin. The necessity of affirming this or similar counterfactuals is usually said to lie in the Church’s doctrine that Our Lady’s redemption was a “preservative” redemption. It is asked, what can “preservative” mean, if an assertion like (A) is not true? Of course, once (A) is admitted, it seems to become more difficult for those who reject the debitum peccati to maintain their position. For if (A) is true, there must be some reason, cause, or law which makes it true—a law to which Mary was “subject.” The defenders of the debitum can claim that the term means no more than this; whereupon they seem to win by default. The purpose of the present writer is rather a radical one: it is to prove that the debitum peccati is a logical absurdity. I argue that its defense does indeed require, as starting point, a true and informative counter factual. (A) is excluded because it is a thinly disguised tautology. I then experiment with alternative counterfactuals and find them, one and all, unacceptable. The overall argument, then, falls into two parts. The first part seeks to reduce the entire case for the debitum peccati to the tenability of a counterfactual, and the second part attacks that tenability, especially in the light of recent work by formal logicians on the meaning of the counterfactual connective. This work may fairly be said to have begun with a paper of H. Hiz in 1951, and was well summarized last year by Howard C. Wasserman. To this writer’s knowledge, such work has never before been applied to the debitum question. The present article contains, however, only the first part of the total argument; the second will be published in a sequel, which will be entitled, A Critique of Marian Counterfactuals. In order to avoid all appearance of theological polemic, the author has rarely attributed the various positions discussed in the two parts of this paper to the particular theologians, living and dead, who held them. As a result, no attempt has been made to supply a bibliography of the traditional literature, since this work has been done ably by others. 0.0.1. It will be granted that the debitum peccati, if true, is a theological conclusion. Theological conclusions are supposed to emerge from the data of revelation (and sometimes also from those of right reason) as bonae consequentiae. Hence it would seem that a case for holding the debitum must proceed by constructing one or more syllogisms whose conclusion is the desired proposition. In this case, it is easy to see what sort of syllogism is required: one needs a major which predicates “debet peccatum contrahere” of all the members of a certain class; and one needs a minor which identifies Mary as a member of that class. 0.0.3. This distinctive force brings to light a second requirement which the syllogism establishing the debitum peccati must meet. Whereas the notions of original sin, who contracts it, why and how, are all revealed (more or less), the notion of a “necessity” or “obligation” to contract it is not revealed. Hence the major of the required syllogism(s) cannot presuppose or merely posit the “obligation.” Rather, the “obligation” itself must emerge as the sound conclusion of a theological proof. 0.0.4. Now before we investigate how such a syllogism might be constructed, let us face a more primitive option. Suppose we already have our desired syllogism in hand, with its desired conclusion: Maria debet peccatum contrahere. The fact remains that she didn’t contract it. So the option is this: should we say the obligation was waived, or the necessity dissolved, in her case? It would seem so. But notice that if an obligation is waived, it is waived. That person for whom an obligation is waived is, precisely, not obliged. Hence, if the obligation was waived in her case, Mary was not obliged to contract original sin, and the stipulated syllogism is false. 0.0.5. Here the defender of the debitum has three moves from which to choose. He can accept that Mary was not really obliged and thus reduce his own position to a matter of words. He can say that the quarrel was a matter of words from the outset. But one must retort that, if he still speaks of a debitum, then his use of words is inconsistent. He can raise the obligation to the second power, so to speak. Suppose the descendants of Adam, if not obliged to contract, are at least obliged to be obliged to contract. Then Our Lady was obliged to be obliged, but God didn’t in fact oblige her. In other words, it remains true that she “ought to have been obliged.” However, as soon as one sees that the basis for alleging the obligation to be obligated is no different from the basis for alleging the obligation in the first place, it becomes clear that this solution only postpones the problem. One then considers a third move. The defender of the debitum can say that in Mary’s case the obligation was not waived. In that case, she was truly obliged or necessitated but was mercifully prevented by God from meeting the requirement. In this way, one arrives at a debitum peccati which seems to have substance. There is a debitum “in” Our Lady which consists precisely in the real attachment to her of that necessity which her Savior preserved her from fulfilling. Subject to a “law” of God’s making, she broke it by God’s doing. Because God broke His own law, she lacks the sin; because He broke it rather than waived it, she has the debt of sin. On this interpretation, the desiderated syllogism is restored to good repute. So far as I can see, there are no other options for the debitum-defender. He may choose to word the third option a bit differently than I have done, but the gist will remain so long as he holds that there is an obligation or necessity which did bind Mary and was not simply waived. 0.0.6. With this choice clarified, we turn to the needed syllogisms. We have seen that both the notion of debitum and its attachment to Mary must be demonstrated, presumably in that order. I think it will be agreed that there are only two possible starting points: either the revealed data concerning original sin and its transmission or else the meaning of the Immaculate Conception itself. 1.0.0. Let us see what happens if one begins from the data on original sin (the so-called terminus a quo of Our Lady’s redemption) From these data, one or more “laws” must emerge (taking “law” in a broad and analogical sense), so that Mary’s case, considered in abstraction from the divine intervention, emerges as a case covered by a law. 1.1.0. The first task, then, is to get clear the “laws” in question. 1.1.1. Law I says: “You shall not eat of such-and-such a tree.” Prescinding from mythological coloration of its content, some such injunction must be posited in harmony with the Catholic insistence that man’s predicament as “fallen” results from an original, free choice of disobedience. The injunction is analogous to social legislation. It is broken by Adam and Eve, and their punishment is expulsion from the Garden plus the unfavorably altered conditions of life connected therewith. These new and unhappy conditions include (a) absence of original justice, (b) absence of the preternatural gifts, (c) subjection to the Devil, (d) onerous labor, (e) concupiscence, etc. For convenience’ sake, I shall refer to this collection of characteristics henceforth as [a, b, c…]. Now, these characteristics play a double role. Considered vis-à-vis Adam’s act, they are a punishment. Considered vis-à-vis God our End, they are a state-of-sin and incur the further punishment of eternal exclusion from the friendship of God. This double role is possible, of course, because of the peculiar character of the privation of grace. 1.1.2. Law II says: “If Adam sins, both he and all those in solidarity with him will be characterized by [a, b, c…]. Notice that this “law” is not at all analogous to social legislation. It is not the law which Adam broke, because it is not the sort of thing that anybody can “break.” It is analogous to a law of nature in that it states what will universally occur under certain conditions. The coming-into-operation of Law II is therefore in consequence of Adam’s sin but not precisely punishment for it. The characteristics [a, b, c …] are the punishment. In other words, if Law II comes into operation, I am born with these characteristics. Because these characteristics are ghastly, their existence in me can be called both “sin” and “punishment.” It is not unjust that I receive these characteristics, because, thanks to his moral headship of the race, I was “in” Adam and died “in” him, when he broke Law I within the structure of Law II. Hence it is fitting that he and I receive the same penalty, which is the bearing of the same guilt. In any case, from the point of view of Adam’s descendants, the “punishment” which follows upon Adam’s sin is these characteristics as actually received in his descendants—and not the coming-into-operation of Law 11. Now, given that one is to receive these characteristics, the question remains how one is to do so. For the answer, one needs another law. 1.1.3. Law III says: “If human parents are characterized by [a, b, c…] then by natural generation their children who are in solidarity with Adam will have [a, b, c…]. the operation of Law III upon the human race. that she was (or should have been) in solidarity with Adam in what he did? that she was (or should have been) subject to the operation of Law II? that she was (or should have been) subject to the operation of Law III? We shall have to consider these possibilities separately. We shall proceed in the order stated. 1.2.0. Can it be said that Our Lady was in solidarity with Adam in what he did? This question would have been formulated by many older theologians in a more vivid way. They would have asked “whether the Blessed Virgin sinned in Adam,” and I, too, shall use this form of words in the following exposition, simply because it is less cumbersome. In using the more vivid formula, I do not wish to be understood as endorsing the questionable theory which holds that, because our wills were transferred to Adam and hence were committed with his will in his sinful act, we can be said to have “sinned” in Adam in some metaphysically literal sense. It suffices for present purposes that our solidarity with Adam (whether juridical or mystical, neither or both) be conceived in such a way that we really bear the moral effect of his act (the resultant state-of-sin) just as much as he did. In other words, I assume only the common teaching that the act of sinning is to the state of sin as cause is to effect. The state of sin (privation of grace) is not a physical effect of the culpable act, of course, but its moral effect. The moral causality of the act consists simply in this: if x sins, then God, in view of the act, ceases to conserve in being the grace of x. On this interpretation, to ask “whether x sinned in Adam” will not presuppose that x somehow acted in Adam, nor that Adam’s act as such can be imputed to x; it will simply be to ask whether God ceased to conserve in being (or foresaw that He would not conserve in being) the grace of x in view of x’s solidarity with Adam. 1.2.2. One can say of any human being, begotten in any way from the existing human stock, that he or she is descended from Adam, hence was “seminally contained” in him. Thus the extension of (a) includes Our Lord as well as Our Lady. 1.2.3. But one cannot say of all human beings that they contract original sin, for at least Our Lord and Our Lady have not. Hence the extension of (b) is not identical to that of (a). 1.2.4. The difficulty is to decide which persons were in Adam as moral head of the race. It is obvious that everyone who sinned in Adam was “in” him as head. But one may ask whether everyone who was in Adam as head also sinned in him. Beyond doubt, this question must be answered in the affirmative; for a negative answer would falsify the in quo omnes peccaverunt of Romans 5:12, as interpreted by Trent. The reason for this is the fact that our “solidarity” with Adam, insofar as it means anything more than the biological relation of descent (see above, note 8), is revealed and definable solely with respect to a single point, scil., our solidarity with him as acting either to keep justice or to lose it. Hence to suggest that someone might have been “in Adam” morally or mystically without having also died in Adam through his sin is to speculate in thin air. Therefore, the extensions of (c) and (d) are identical. 1.2.5. Next, one may ask whether everyone who sinned in Adam has contracted (or will contract) original sin. Again, the answer must be affirmative. For what can it mean to say, of a person who never contracted original sin, that he or she nevertheless sinned in Adam? If Mary, for example, does not bear in herself the full set of characteristics [a, b, c…], then what reality in her corresponds to this alleged property of having sinned in Adam? If one admits, in harmony with the obvious tenor of the Ineffabilis Deus, that no reality in her corresponds to sin, then to say that she sinned in Adam is to say that she sinned but has no sin—which is contradictory. Furthermore, the Council of Trent makes it clear that the characteristics [a, b, c…], as actually received in us, are, or include, a real peccatum (D.S., 1512), which is identified with the mors animae. This peccatum will have to be understood either as the act-of-sin, which would have to be a free operation (if not free in us, then free in Adam) or else as the state-of-sin which results from such an act (if not from our own act, then from Adam’s). But if the free act causative of the sin-state is not in us (as it is not), it can only be found in him with whom we are in solidarity. Hence, on either hypothesis, the characteristics received in us are precisely peccatum if, and only if we sinned in Adam. Conversely, if anyone sinned in Adam, he or she really sinned. (It does not help to add the mitigating words “radicaliter,” “virtualiter,” “extrinsece,” and the like; after all, species non mutat genus.) Now, if the same person has committed no actual sin, then the real sin-act or sin-state in that person can only be the inherited one, namely, the characteristics [a, b, c…]. Hence a person sinned in Adam if and only if he has (or will have) the characteristics [a, b, c…]. Therefore, to have “sinned in Adam” and to “contract original sin” are fully equivalent expressions. To deny either is necessarily to deny the other. The extensions of (b), (c) and (d) are thus identical. Therefore, since it is certain that Our Lady did not contract original sin, it is also certain that she did not sin in Adam. Our Lady was descended from Adam, hence “should have been” in him as moral head of the race, and hence should have sinned in him. Our Lady was a naturally begotten descendant of Adam, hence “should have been” in him as head, and hence should have sinned in him. 1.3.1. Now the first of these grounds plainly cannot be true. We have already seen that everyone who was in Adam as moral head also sinned in him, otherwise the in quo omnes peccaverunt is false; but we have also seen that Our Lady did not sin in Adam; therefore, she cannot have been in him as moral head of the race. 1.3.3. Can it be held that Our Lady should have been included in Adam’s fall because of the way she was begotten? This argument, with its caro infecta or equivalent device, is a classic whose refutation may be more conveniently handled below (1.10.0), when we consider Our Lady’s possible subjection to Law III. 1.3.4. Here it will suffice to show why mere descendency from Adam does not entail, of itself, that one was “in” Adam as moral head or sinned in him. It is usually classified as certa in theologia that natural generation is not the cause but only a condition sine qua non of the propagation of original sin. Now descendency from Adam, considered purely in itself, is simply a relation to Adam as ancestor. It is a real relation, whose fundamentum in re is the generative power as reduced to act in Adam or in one of his offspring. Therefore, all that natural generation produces, of itself, is the child and the relation to Adam as ancestor. It does not produce the relation to Adam as head. This latter relation is verified only by the actual or foreseen receipt of Adam’s sin, that is, the characteristics [a, b, c…]. After all, it is also considered certain in theology that the sin of Adam is the “causa unica” of original sin as propagated in his descendants. Now, if it is true that all who were “in” Adam as moral head did sin in him, and if “to sin in Adam” is really identical with “to contract original sin,” then any person who does not contract original sin cannot have been really in solidarity with Adam as head. In Our Lady’s case, it is most probable that she was related solely to the New Adam as head, because she was to be a member of the New Humanity from the first instant of her existence. This is not the case with the rest of us, who become members first of the Old Man (by conception) and only subsequently of the New (by baptism). Hence the rest of us Christians have a relation to both heads of the race, but Mary to only one. This situation is intelligible so long as one bears in mind that the fundamentum in re for our relation to Adam as moral head is not simply biological descent but the actual or foreseen receipt in us of original sin. Absent this receipt (as in Our Lady’s case), a person is related to Adam solely as ancestor. Thus the relation to Adam as ancestor and the relation to him as moral or mystical head are two distinct relations, having distinct fundamenta, even if the existence of the first relation is a necessary condition for the existence of the second. 1.3.5. Thus, to resume, we have so far two negative conclusions: the debitum cannot mean that Our Lady either sinned in Adam or, simply qua descendant, should have sinned in him. We thus eliminate one version of the so-called debitum proximum. What remains ? 1.4.0. Well, one could shift the emphasis away from the difficult question of exactly how Our Lady is related to Adam as head. One could maintain that she, quite apart from that question, was nevertheless both Adam’s descendant and born of sinful parents; hence she was, by right, subject to the operation of some law of original sin’s transmission. By far the most common understanding of the debitum peccati among theologians in recent times has been just this conception of the debitum as a “subjection” to a law similar (but not quite identical) to those formulated above. At the same time, the most common way to deny any debitum in Our Lady has been to deny that she was subject to those laws. This denial has almost always involved an appeal to the logical order of the divine, eternal decrees. Here a different, and perhaps more decisive, approach will be adopted. 1.4.1. What does it mean to say that someone is “subject” to a law? 1.4.2. The answer is fairly clear so long as the context is one of social legislation. In this sphere, I am “subject” to a law if, when I disobey it, some authority has the right to punish me. Thus to be subject to a law is to be a member of a particular class of persons, namely, those persons who are bound to obey a certain authority (e.g. the citizens of Italy) and whom that authority has justly bound with respect to the particular matter legislated upon. 1.4.3. In the case of a moral law (even when the moral norm is not reflected in positive legislation), the situation is closely analogous. There is a legislator (God) and a promulgation (whether conscience or revelation). Abstractly, all men are at all times subject to the moral laws; but concretely, each man is subject to a particular moral law only insofar as he finds himself in the particular situation (s) in which the performance or avoidance of a certain action is morally obligatory. For example, to say (abstractly) that I am bound by the moral law against duelling means (concretely) that I must abstain from duelling if I am ever in the circumstances which would count as an instance of that offense. Thus, again, to be “subject” to the law is to belong to the class of persons who find themselves in the particular circumstances within which the law applies. 1.4.4. Both in the case of societal laws and in that of moral laws, one is subject to a law which one can break, although it is unjust to do so. Hence laws of both kinds are laws of which it is meaningful to say that one “ought to obey” them. Here there is an analogy with Law I, the law to which Adam was subject and which he broke. 1.4.5. The situation is markedly different, however, if the context is one of nature and its law-like regularities. There is a physical formula, commonly known as the “law” of gravity, to which it is reasonable to say that I am “subject,” since I belong to the class of bodies having mass. But no one will say that I am legally or morally “obliged” to keep this law (which I cannot break in any case), because its breach would not be a crime but a miracle. Now, it has been suggested above that the laws of original sin’s transmission are more closely analogous to this sort of law than to social or moral laws. If this claim is true, it will be meaningless to speak of an “obligation” to obey them, and only nonsense will result from the attempt. 1.4.6. Such nonsense, alas, is not hard to find in the literature on the debitum problem. Here is how it arises. One takes any revealed truth about who contracts original sin, why, or how. One observes that this fact is true by God’s own ordinance, which is necessarily just. Then one says that a just ordinance “ought to be obeyed” by all those subject to it. Thus, by arguing from God’s justice, one concludes to a proposition which predicates “ought to obey the ordinance” of all members of a certain class. And thus one obtains a major which includes debet. Then the minor makes Mary a member of this class, and it follows that she debuit oboedire. Against this debuit, the fact that she non oboedit is irrelevant. 1.4.7. The trouble with this solution is its remarkable silliness. It turns peccatum originale originatum into a benefit of “law and order.” Mary was obliged to contract the sin, it seems, because otherwise she would flout the house rules of the Oeconomia! But lest I be accused of answering this position with sarcasm alone, let me point out how it equivocates on legal obligation. Consider the panorama of a myriad generations of parents, tainted with original sin, dutifully begetting children having the same taint. By surprise, Joachim and Anne beget an immaculate child. A “law” has been broken. But who was responsible for keeping the law? Did Joachim and Anne “owe it” to God, or to their species, to beget a sinner? A fortiori: did the child “owe it” to her parents, or to God, to be a sinner? The question answers itself. After all, ex hypothesi, God made the child immaculate. She didn’t make herself. It is not as though Our Lady, declining to be a sinner, resisted existence until, by sheer contrariness, she managed both to be and to be immaculate. Therefore, the “obligation” to obey, like the obligation to uphold this law rested squarely upon God, not upon the child. The so-called debitum was His not hers. I think the collapse of this solution throws a new and decisive light on a point which I have mentioned heretofore only in passing. 1.4.8. The notion of “obligation to contract original sin” is neither revealed nor unambiguous. The debitum-defender must first define it, then prove that what he has defined attaches to Our Lady. As we have just seen, the ordinary notions of legal and moral “obligation” make no sense in this context whatsoever. And the reason is not far to seek. Any argument to the effect that Mary was obliged to contract sin because she was obliged to obey a just ordinance equivocates in no less than three distinct ways. First, it treats a supernatural arrangement which is in many ways analogous to a regularity of nature as though it were analogous to just, social legislation. In this way, an idea of “obligation” is introduced where it has no place. Secondly, having made this blunder, such an argument attaches the obligation to the wrong party. It makes no sense to claim that Mary, or even Mary’s nature, was “obliged” to keep a law which neither she nor her nature could possibly transgress. Since only God could break the “law,” the argument would prove God unjust, if it proved anything. Thirdly, such an argument strangely forgets that original sin is a punisment. Original sin in us is the receipt of the characteristics [a, b, c…] as defined above. But the receipt of these characteristics is the receipt of a punishment. Now, it makes sense to say that one is obliged to keep a law; it also makes sense to say that the lawmaker is obliged to enforce his law by punishing offenders; but it makes no sense to say that one is obliged in justice to receive a punishment. For in that case, all pardons (and all redemptions!) would be unjust. Finally, if one wishes to say that the guilty party has some weaker, quasimoral obligation to welcome the punishment due for his offense, one must first establish that Mary was a guilty party, i.e. that she sinned in Adam. But we have already seen that this is impossible. “To sin in Adam” and “to contract original sin” are always idem in re, though they differ ratione. Were this not so, that is, were it possible to call Mary a sinner-in- Adam on some other basis than a contraction of original sin, then her non-contraction would leave her a sinner. She would be simul justa et peccatrix, and the Immaculate Conception would be Lutheranized in meaning—a case of extrinsic justification! 1.4.9. Thus we have seen that the debitum alleged in Our Lady cannot mean legal or moral obligation to obey a just ordinance and hence cannot mean “subjection” to a law in this sense. What remains? 1.5.0. Well, if one strips away the notions of legal or moral duty, “subjection” to a law means only one thing: it means belonging to the set of objects upon which the law operates — that is, the set of objects which fulfill those initial or boundary conditions under which the law has predictive force. Hence Our Lady will have been “subject” to the laws of original sin’s transmission, if and only if she was a member of the set of persons tor whom Law II holds, or Law III, or both. Thus debet ceases to be a deontic operator and reduces to ordinary, nomological necessity. 1.5.2. The answer is already clear from what has been said. The term “solidarity,” as used in this formula, was defined above (note 8) as that mystical bond whereby we can be said to have died in Adam through his sin. Thus everyone having “solidarity” with Adam in this sense must be said (in an older terminology) to have sinned in Adam. But nothing of the kind can be said of Our Lady. Hence she is not a member of the class of persons subject to the operation of Law II. Mary was a descendant of Adam, therefore she should have been in solidarity with him, hence subject to Law II. Mary was naturally begotten by sinful parents, themselves descended from Adam and in solidarity with him; hence she should have been subject to Law II. Mary in fact was in solidarity with Adam, hence was subject to Law II in principle, although God made her an exception to it in fact. 1.6.1. The first and second of these grounds are plainly absurd. They both amount to saying that because Mary fulfilled at least one necessary condition for the contraction of original sin, she ought to have fulfilled the sufficient condition also and hence contracted. This is to assert that every queen “ought” to be a harlot, because she fulfills at least two necessary conditions for being a harlot, namely, she is a human being and a woman. 1.6.2. Nevertheless, despite their absurdity, the first and second of these grounds bring to light a powerful psychological basis for the debitum’s plausibility. We are creatures of routine. We observe regularities and proceed by trial and error (or by theological reasoning) to formulate the laws which account for those regularities; and in doing so, we often mistake necessary conditions for sufficient ones; then, when an event which our inadequate law-formula failed to predict shatters the expected routine, our first reaction is one of discomfort. We are annoyed that our formula did not hold; and, despite the facts, we claim that the law “ought to have held.” But this claim need not be a petulant exclamation. If we move from psychological considerations to epistemological ones, the statement, “This law ought to have held,” can be taken as making two very different claims, depending on whether the referent of “this law” is the law-formula or the law-in-the-real. 1.6.3. On the one hand, if “this law” refers to one of our formulas, then the claim is not only significant but highly important for the progress of science (even a science like theology). After all, it is vital to know which of our current formulas has been falsified by the new fact, so that we can know just which of our formulas requires correction. If we could not make this claim about some one of our formulas, there would be no sure way to assimilate any new fact into the corpus of existing science, because there would be no way to correct that corpus methodically in the light of experience (or, for that matter, in the light of a new dogmatic definition). Thus, taken in this sense, the claim, “This law ought to have held,” does recognize a “debitum” but it attaches the debitum precisely to the formula; its force is to point out the gap between what we say (the formula) and what we need to explain; thus the effect of the debitum is to falsify the formula in question. 1.6.4. On the other hand, if “this law” supposes for the order which obtains in rerum natura, then the claim, “This law ought to have held,” is patently self-contradictory. For, as a counterfactual, the claim presupposes that the real law did not hold; hence it presupposes that what obtains in reality does not obtain in reality. 1.6.5. It is difficult to avoid the suspicion that serious confusion over the sup posit to of “law” lies just beneath the surface of many arguments in favor of the debitum peccati. Isn’t it historically the case that such a debitum was “discovered” when the fact of the Immaculate Conception, no longer deniable, contradicted some cherished theological formula? And wasn’t this debitum thereupon, without further ado, posited in the real, as though the formula had been the real law, which thus both obtained (hence the real debitum) and didn’t obtain (hence the non-contraction)? As soon as a real regularity or law is allowed both to obtain and not obtain, theology acquires all the well-known curiosities of the debitum debate: subjections which don’t subject, obligations which don’t oblige, necessities which don’t necessitate. (c)Therefore, Mary is begotten in the state of original sin. 4. and this “ought to” is the debitum peccati. 1.6.7. Frankly, this reasoning can only be called preposterous. In any logic I know, if the conclusion of a syllogism is false in fact, there is something wrong with the premises. That much is elementary. In the present case, it is clear that the major (a) is faulty because it states a necessary but not sufficient condition for contraction. But as soon as one amends the major to read correctly (cf. Law II), it is clear that the minor (b), as stated, is insufficient to yield a conclusion. Hence the basis for the debitum vanishes. Our Lady’s debitum must emerge as a theological conclusion, hence follow as a bona consequentia from premises at least one of which is revealed. The precise notion of a debt or “obligation to contract” original sin is not revealed, hence cannot be presupposed in the proof but must itself emerge as a bona consequentia from revealed data. It is excluded that Our Lady deserved original sin on the ground that she sinned in Adam or was duty-bound to obey a just ordinance. 1.7.1. Now, I submit that these ground-rules make any plausible, theological proof for the debitum impossible to construct. The reason is simple. So long as rule (3) is obeyed, the obligation in question can only be conceived as Our Lady’s belonging to a class which regularly contracts original sin. Two such classes would be “descendants of Adam” and “offspring of parents themselves having original sin.” The reader is free to think of others. However, whenever one makes the major of the syllogism read,”all members of this class contract original sin,” and the minor, “Mary is a member of this class,” the syllogism is eo ipso false because Mary’s belonging to the class falsifies the major. But as soon as one amends the major to read, “all members of this class ought to contract original sin,” one assumes what needs to be proved. Finally, if one adopts the desperate measure of adding a proviso to the major, so that it reads, “all members of this class contract original sin unless God intervenes,” no conclusion follows at all. The major, which is the “law,” loses all deductive power. How, then, is the “ought” or the “obligation” ever to get into the proof, without being smuggled in as above, metalinguistically, in the absurd claim that a bad syllogism “ought to hold” even when it doesn’t? (4) The Virgin Mary is not a mother. Hail, Vessel of the wisdom of God; hail, treasury of His foreknowledge. Hail, thou that showest philosophers fools; hail, thou that provest logicians illogical. (5) Vx (x is a naturally begotten descendant of sinful Adam > x contracts original sin) is reached. In both cases, the step to a bound variable in universal quantification is falsified by fact and by the same person. And in both cases, a “debitist” position arises from refusing to admit the logical consequence of the factual falsification— namely, the falsehood of (3) and (5) as they stand. There can be little doubt that the reason why this formal parallel has not been faced historically is the material difference that, whereas the falsification of (3) could be taken as an ordinary case of a miracle “breaking” a law of the merely natural order, the falsification of (5) could be taken as a supernatural “exception” to a supernatural law. 1.8.0. The force of these considerations will emerge more clearly, and in a new light, if we return now to consider the third ground, mentioned above in 1.6.0., for saying that Our Lady “should” have been subject to Law II. The third ground was this: Mary really was in solidarity with Adam, hence really did fulfill the sufficient condition for contracting sin; therefore she was subject to Law 11 in principle, although God made her an exception to it in fact. 1.8.1. This approach raises again the question of what we are to mean by a “law” in this context. Because Law II is not the sort of law which those subject to it can break, it was suggested above that this “law” is analogous to a regularity of nature. It is somewhat similar to the law of gravity. But such laws do not admit of exceptions. If, for example, the desk before me should suddenly begin to levitate in apparent defiance of the law of gravity, one would have to say, after duly establishing the fact, one (and only one) of two things. (a) First, one might say that the “exception” is evidence of some hitherto undiscovered but natural restriction on the operation of the law; and in that case, the result would have to be a reformulation of the law and its boundary-conditions. Thus the so-called exception would not be an exception to the true law, correctly formulated, but an instance of it. In Mary’s case, her non-contraction of [a, b, c…], would prove either that the formula of Law II should never have been applied to her case, or else that the formula was incorrect. Thus the Immaculate Conception would either invalidate Law II as here stated or else prove that Mary was not subject to it. Either way, the debitum vanishes. (b)Alternatively, one might say that the breach of the law was not due to any natural agency but was supernaturally caused. If so, the levitation of my desk is a miracle and has nothing to do with the law of gravity in its correct formulation. For no one suggests that the laws of physics ought to be formulated so as to account for and predict causalties which transcend their boundary conditions, that is, transcend the natural order. But Law II is supposed to predict a regularity of the supernatural order. Hence to posit the Immaculate Conception as a supernatural “exception” to it is, once again, to invalidate the law, as formulated, within its own order. Thereupon the question arises as to how Law II could be reformulated so as to read correctly. And to this question, there is only one answer: one would have to add a proviso, such as “unless God intervenes.” But the addition of such a proviso, however worded, has a devastating effect upon the whole pro-debitum argument, as has already been noted. For it results in a “law” from which nothing relevant can be deduced. 1.8.2. At this point the debitum-defender might raise an apparently serious objection. Granted that a formula like Law II is in some ways analogous to a law of nature, nevertheless in other important ways, it is not. For example, it does not operate by blind physical necessity. As a product of God’s wisdom, it is subject to His will. Thus, just as a human law-giver can act personally to make intelligent exceptions to his laws, without thereby invalidating them, so also God can make an exception in the case of Our Lady. Indeed, the debitum only means that He did have to make an exception. The correct way to answer this objection is to accept the first part of it and reject the second. 1.8.3. As to the first part, it is absolutely true that original sin’s transmission is a mysterious arrangement which is only imperfectly illuminated by the analogy of “law.” And this imperfection remains whether one takes the laws of parliament or the laws of physics as the prime analogate. But here the debitum-defender: must be on his guard. It is his case, not mine, which requires the legal analogy, because it is his contention, not mine, that Mary was “subject to a law” by virtue of whose operation all those subject to it contract original sin. Now, just because the debitum-defender must rely on the legal analogy, even while recognizing that it is only an analogy, it is his duty to beware of the equivocity of the term “law” in human usage. He must decide which sort of law supports the analogy; and having made his choice, he must adhere to it. He must not shift back and forth, from sort to sort, as convenience in controversy dictates. 1.8.4. Now, as to the second part of the objection we are considering, the debitum-defender has seen the awkwardness of analogizing from the laws of physics, namely, that this analogy deprives him of the useful term “exception.” For, as we have seen, to say that an event was an “exception” to a law- formula is only to posit a relation of reason between a failed formula and the event it failed to predict, while the real law, is, by definition, the law which does not fail, hence has no “exceptions.” Therefore the debitum-defender now proposes that Law II may be analogous to social legislation after all, because it may admit of exceptions in the hands of an all-wise Administrator. Will this new analogy survive inspection? 1.8.5. I think not. Why, after all, does a human legislator make unwritten “exceptions” to his laws? He does so because he cannot, when promulgating the law, foresee all the unusual cases which may arise and which may turn the observance of the law into a hardship which he did not intend to impose. Hence, one reason for the exceptions is a defect in the original understanding of the consequences of the law; and the other reason for exceptions consists in the tacit qualifications which the legislator implicitly intended but did not think to write down in the law itself (and could not have written down without making the law too complex to be humanly manageable). Therefore, in the human analogate there is a temporally prior promulgation, accompanied by imperfect understandings and unformulated qualifications, all of which form the necessary “background” against which the unforeseen case can figure as an “exception.” But in God there is neither time, nor defect of understanding, nor unformulated intention. The case to which the law will not be applied is foreseen just as clearly and just as eternally as the law itself. Therefore, if the analogy is to survive, the “promulgation” of Law II as covering Mary’s case must enjoy a purely logical priority in God over His decree of the Immaculate Conception. Hence the historical appeal to the signa rationis. 1.9.0. That this appeal, generally the last resort of the pro- debitum position, necessarily fails on Thomistic principles may be shown by a short argument conducted entirely on those principles. For a Thomist, the crucial issue is not the order of priority and posteriority among the signa, as is often supposed; in fact this order is crucial only for a Scotist. Rather, for a Thomist, the crucial issue is what is required for a will to be efficacious. Let us see why this is so. 1.9.1. At the outset, it must be admitted that Our Lady’s being foreseen in solidarity with Adam (that is, as a member of the class of persons for whom Adam is mystical head and sign) amounts to a subjection to Law II and hence amounts to a debitmn, if and only if she is thus attained by God in an efficacious will. For it is only in an efficacious will that Law II is “in force,” hence is a law, hence has subjects. Therefore, if there is to be a debitmn, Our Lady must be attained in an efficacious will precisely and simply as a member of the class in solidarity with Adam, hence as subject to an efficaciously willed Law II. 1.9.3. Obviously, this rule for ordering the signa was formulated by John of St. Thomas in response to the Scotist challenge. The rule is designed to eliminate the Scotist way of assigning an absolute priority to the Incarnation without exhaustively determining the “Incarnation” thus priorized. At issue here is the fundamental difference between the two metaphysics. If “formalities” are actually distinct ex parte rei, then real beings can be constituted by a series of efficacious decrees which add formality to formality, down to the last haecceitas. But if the “formalities” are only rationes of what is simply itself in re, and if they become distinct only by a distinctio rationis ratiocinatae, then no such series of efficacious decrees is possible; the series must be reduced to a single decree which, qua efficacious, can attain only a fully determinate object. Therefore, obviously, on Thomistic principles there can be no efficacious will of God which attains Mary simply, and solely, “under the title” of solidarity with Adam. For, as attained under this title, she is merely an instance of a class, that is, someone attained under a common or abstract ratio. 1.9.4. Objicies: Being in solidarity with Adam formally includes the ratio of being a subsistent in human nature. But to be “subsistent” is to be fully terminated in the line of substance and hence in immediate disposition to existence. Therefore Mary, even as attained solely under the title of solidarity with Adam, is sufficiently individualized to be the object of an efficacious decree. 1.9.5. Distinguo majorem: that solidarity with Adam, ut concepta, includes or presupposes subsistence in signified act, concedo; includes the concreteness necessary for efficacity, nego. Et nego consequens. The concept of an incarnate Logos, simply as such, also includes the concept of a subsistent in human nature. But in order to have real determination, it remains to specify every property which the thing must either have or not have in its first moment of existence, in order to exist at all. Hence, if the merely signified subsistence included in the concept of an Incarnation which abstracts from passible vs. impassible flesh, etc., does not suffice for individuation— as John of St. Thomas insists it does not—neither does the signified subsistence of a Mary conceived in abstraction from the privileges. 1.9.6. Instas: It is permitted, however, to assign an order of priority among efficacious wills on the basis of any causal order, or order of real dependency, of one thing upon another. But the supernatural presupposes and depends upon the natural. (And the reverse is also sometimes true, as John of St. Thomas remarks elsewhere in the section excerpted.) Hence there can and must have been an efficacious decree determining Mary to exist as a human being, in this flesh and these bones, begotten at this time from these parents, etc., prior to the efficacious decree determining her supernatural privileges. Atqui, to receive the nature by natural generation from parents living post lapsum Adae entails receipt of the nature as tainted from Adam. Ergo, there can and must have been an efficacious decree establishing Mary’s subjection to original sin prior to the efficacious decree exempting her therefrom. 1.9.7. Respondeo I: Nego minorem: to descend from Adam by natural generation is a necessary condition for contracting the sin but not the sufficient condition. Therefore, the prior efficacious decree determining Mary’s existence in the natural order is neither per se nor per accidens a decree subjecting her to Law II. Let us be clear about this: the decree determining whatever is necessary to Mary’s concrete existence in the natural order, even if it is logically prior to the decree determining her privileges, does not establish a debitum contrahendi peccatum, unless one also assumes the caro infecta theory or some similar theory which makes descent from sinful Adam by natural generation the sufficient condition for contraction. Absent this additional assumption, the order of decrees proves nothing. We shall discuss below the tenability of the caro infecta and similar devices. Here it will suffice to conclude with an alternative response. 1.9.8. Respondeo II: Nego majorem: Of all the worlds God could have created, He chose to create one in which man is ordained to grace. Therefore, no efficacious will determining any man to exist within this chosen world can determine him to exist according to nature alone, abstracting from graced vs. non-graced. Therefore, every efficacious divine will determining a man to exist within this chosen world must determine him to exist, in the first instant of his existence, either with grace or else without it; and if his existence is to begin post lapsum Adae, then the absence of grace is already privation of grace in solidarity with Adam. There simply is no state called “subjection to sin” in which an efficacious decree could posit a human being, intermediate between contracting sin and having grace. If this is admitted, then let us for the sake of argument also admit the minor which the debitum-defender alleges. Let us admit, in other words, that descent from an Adam-who-had- sinned, by natural generation, suffices per se for that absence of grace which is the contraction of sin. We now face the following situation: there is a (logically) first efficacious decree in God which determines Mary to exist in human nature in the first instant without grace, hence in original sin (not just subject to it, but in it); and there is a second efficacious decree in God which determines Mary to exist in the same human nature and in the same first instant with grace. Patet contradictio. 1.9.9. Observe that there is no way to remove the contradiction without also removing the debitum. For example, one cannot make the first-willed sin a property of the nature, and the second-willed grace a property of the person, because efficacious wills don’t posit mere natures, and because mere natures neither have nor contract sin. Of course, one could remove the contradiction by making one or the other will a voluntas simplex or antecedens. But which will is to be removed from efficacity? Not the second, surely, because the Immaculate Conception actually occurred. Then the first. But if the first will is non-efficacious, it involves no law as actually in force, or at least no efficacious subjection to it, hence no mandated contraction, hence no debitum. The only way to keep both decrees efficacious, and yet avoid contradiction, is to imagine that the law involved in the first decree included an explicit proviso allowing for non-contraction (perhaps whenever God willed, or perhaps only when the “subject” was to be the Mother of God). But on that assumption Mary is both subject to the law and by that fact alone not obliged to contract. Hence, no debitum. 1.9.10. In summary, the attempt to argue from an analogy which would permit Law II to be the sort of law which admits of “exceptions” fails under the unique conditions which must be posited in God. Therefore, there is no ground for saying that Mary either was or should have been subject to Law II. 1.10.1. However, it has also been argued that this natural generation from Adam is a necessary but not sufficient condition for the contraction of original sin. Therefore Law III, as here formulated, includes the additional requirement that the children thus naturally generated be in “solidarity” with Adam, that is, that they be subjects of the mystical relation to Adam as moral head, whereby their own grace stands or falls with Adam’s. Now, since it has been shown that Mary is not a subject of this mystical relation, it follows that she is not subject to Law III as here formulated. 1.10.2. Nevertheless, the debitum-defender may well ask whether the law-formulas adopted here do not “eliminate” the debitum peccati only by the rough and arbitrary procedure of defining it away. Is it really legitimate, he may ask, to distinguish our mystical solidarity with Adam from our biological solidarity of seminal containment in Adam, in such a way that the two can be really separated by God—separated not only in theory (de potentia absoluta) but also in providential fact, in the case of Our Lady? For even if we grant that Adam’s sin is the “causa unica” of our own contraction, nevertheless, given that he did sin, is not our seminal containment in him the very bond which suffices, of itself, to assure that we also contract sin? Why, then, invent a second bond? Furthermore, is it not clear from the whole tradition of the Church that original sin is contracted in and with the receipt of human nature by natural means? Is it not also clear that the soul itself is free of original sin until it informs the matter which, alone, is actually derived from Adam? Therefore, given only that Adam did sin, must we not look precisely to the metaphysical structure of natural generation, in order to find the cause of the soul’s pollution? In a word, peccato Adae praesupposito, is not descent from him by natural generation the sufficient condition for our contraction of his sin? 1.10.3. To answer this important objection, it will be wise to begin with some remarks regarding the terms “cause” and “sufficient condition.” I have not spoken in this paper of the “cause” of peccatum originale originatum, except when citing another author (above, note 15). I have preferred instead to speak of necessary and sufficient conditions, so as to secure a less ambiguous terminology. We may illustrate with a commonplace example. 1.10.4. It is well known that sunlight, focused through a lens, will cause a piece of paper to burn. The sunlight is the “cause.” But if we try the experiment on a sunny day, and nothing happens, we may find that we do not have a powerful enough lens. We fetch another; and when fire results, we say that the lens is the “cause.” Someone else may try the experiment on a sunny day, with the right kind of lens, but without result. We point out to him that he is holding the lens too close to the paper. When the position is corrected, and fire results, we say that the proper focus is the “cause.” Thus the term “cause” is beset with ambiguity: in different situations, we call different factors the “cause” of one and the same effect. To avoid this situational ambiguity, it is standard practice in the sciences to call only the whole set of necessary factors the cause. Thus defined, “cause” is synonymous with “sufficient condition.” The sufficient condition is simply the set of necessary conditions. This empirical-scientific definition of “cause” will serve for theology with minor amendments, the chief of which is this: whereas the mathematicizing sciences often deal with “events” in actu signato, metaphysics and theology are concerned with events in actu exercito; hence, for our purposes, the “cause” must be just that set of necessary and sufficient conditions which obtained. 1.10.5. In our case, the event to be explained is the actual receipt of original sin in some person, N. It has been argued above that this event will occur if and only if all of the following factors are verified: (l) God’s decree placing N in solidarity with Adam, (2) Adam’s sin, (3) the natural communication of human nature to N, such that as a result N is a human person really related to Adam as ancestor. These three factors, then, are the sufficient condition, and each of them separately is a necessary condition. If all three are verified, N actually receives the characteristics [a, b, c…], which are the content of peccatum originale originatum. 1.10.6. We must now examine the tenability of this view in the light of an objection which amounts to two related claims. The first claim is that more “necessary” conditions have been enumerated here than are really necessary (the mystical bond of solidarity being reducible to the biological bond); the second claim is that human flesh itself, derived from Adam, carries some sort of taint, such that when the soul informs that flesh, the soul contracts original sin. The two claims are related in that the second is a consequence of the first; for, if one eliminates the mystical bond as a separate factor, one must somehow find an explanation for contraction within the fallen- “natural” process itself. The result is a kind of theological biology of the fallen state, with its caro infecta. 1.10.7. It is easy to refute the first of these claims by showing that every plausible theology of original sin presupposes the mystical bond as a distinct factor and cannot survive without it. For let us suppose that concupiscence is a major component of original sin and somehow plays a role in its transmission; let us further suppose that concupiscence can be somehow explained in biological terms as an inheritable trait; it remains true that to inherit concupiscence is not identically the same as to contract original sin. One must also inherit the privation of grace—an “inheritance” for which there is no biological explanation of any kind, nor could there be without reducing the mors animae to the natural order. Every adequate theology of original sin must explain the fact that I inherit privation of grace as a result of another man’s sin, and no such theology invokes natural generation as the sufficient condition—otherwise it would have to be admitted that I inherit the moral effect of my own parents’ actual sins. Why, then, do I inherit the guilt of Adam’s sin but not that of my immediate progenitors? It must be that I am bound up in solidarity with sinful Adam in a way in which I am not hound up in solidarity with my own sinful parents. Atqui, I am bound up with my parents via descent from them by natural generation. Ergo descent by natural generation must not be the only way in which I am in solidarity with Adam. However, if a second mode of solidarity must be admitted, what can it be except the mystical bond by which “many” were included in Adam? As in Adam many died, so in Christ shall many be made alive. In both cases, the decisive bond is mystical. Therefore, descent from sinful Adam by natural generation cannot be the sufficient condition for contracting original sin. 1.10.8. Here an objection might be raised: it seems that the double bond theory makes God the real author of original sin in us. Here we have two descendants of Adam by natural generation, Martha and Mary. God declares that Martha is in mystical solidarity with Adam and Mary is not. On what basis does He discriminate? But if we let descent by natural generation suffice for contraction, God is not to blame. 1.10.9. I answer that the objection only postpones the problem. If natural descent suffices for contraction, Martha and Mary both contract. But here is a Mary who doesn’t contract. Was she made an “exception”? Then God “discriminated” in her favor. In short, neither theory eliminates the so-called discrimination; but the debitum theory has the weakness of having to appeal to “exceptions”—an appeal which we have seen to be nonsense. 1.10.10. As to the second claim—that flesh derived from Adam somehow pollutes the soul—it collapses as soon as one realizes that even the material aspect of original sin (concupiscence) can be predicated only of the whole man and not of his parts. For concupiscence, as a disorder seated in the flesh, precisely qua disorder bespeaks relation to the rational soul as formal cause of the composite. Absent the soul, there is in the flesh neither order to its operations nor disorder. Thus, even materially considered, original sin can be no more predicated of a gamete than it can of a corpse. Hence nothing is gained by the classic appeal to “active” (vs. “passive”) conception. 1.10.11. One must be clear on this point: the concrete species as bio-historical community in solidarity with Adam is a community of persons, not a gene pool. Granted, the community of persons presupposes a gene pool and hence a certain continuity of matter. But it does not consist therein. The species as concrete community consists of its members, namely, the persons who are composites of body and soul. They alone are “in” the species, and they alone are “descended” from Adam, and only what is descended from Adam can either contract or convey original sin. 1.10.12. Confusion on this point arises from a false dilemma concerning the soul as created by God. One asks whether the soul thus created, in the logical moment “before” it informs the flesh, is already tainted with original sin. To avoid making God the author of sin, the question is answered in the negative. But if the soul issues forth clean and becomes soiled, there seems to be no alternative but to seek the contagion on the part of the flesh. This false dilemma is dissolved as soon as one sees that it involves a category mistake. Category mistakes often arise when the properties of wholes are predicated of parts. For example, from the fact that a chair is comfortable, it does not follow that boards and nails are comfortable. And from the fact that I have original sin, it does not follow that either my flesh or my soul has it, taken as parts prior to their union. 1.10.13. After all, original sin is a state consequent upon solidarity with Adam, both moral and biological. This is why original sin is a malady restricted to the human species taken concretely (that is, not only as metaphysical species but also as bio-historical community). What lies outside this species (a stone, an angel) cannot contract original sin. But St. Thomas explicitly teaches that the soul, taken simply as created and not “yet” informing organic matter, is not within the human species, because so taken it is only a part of man. Parts of wholes do not belong to the species of which only the wholes as wholes are instances. Indeed, according to Aquinas, the very “benefit” which the soul acquires in being united with its matter is its specification. Hence the question whether the soul, prior to informing matter, has original sin, is not to be answered in the negative but to be rejected as a meaningless question. Now: what holds for one part precisely sub ratione partis must hold for other parts as well. Hence it is also meaningless to locate original sin in any sense in the pre-animated matter. 1.10.14. From this it follows that original sin does not arise formally in the soul by virtue of the soul’s contact with matter, as though the matter were some sort of medium through which a contagion were conveyed. Rather, original sin arises in the soul because the soul is now the substantial form of this person who happens to be in solidarity with Adam. Because the person-to-be will be in solidarity with Adam, the soul acquires Adam’s sin when it is that person’s soul and not before. God’s non-act of not conserving in being the grace of some person in solidarity with Adam has its negative “effect” only when that person exists, thus when the soul has already produced its “formal effect” of having informed this matter so as to produce the composite which is hic homo. A fortiori, if a necessary condition for the reception of original sin in this soul is descent from Adam, then since descent from Adam is a relation (to Adam as ancestor) which, as an accident, is consequent upon the existence of hic homo as term of the generative act, it follows that neither grace nor sin can be predicated of either constituent part of man prior to the existence of hic homo, which is the formal effect of the soul ut recepta. Therefore, it makes no sense to ask whether the soul, simply ut creata, is in grace or in sin, and it also makes no sense to ask whether the matter simply ut disposita is “infected.” Hence there is no caro infecta. Only the child himself, as existent, can fulfill a necessary condition (descent from Adam) for God’s non-conserving his grace in view of his mystical solidarity with Adam, which is another necessary condition (descent from Adam) for God’s non-conserving his grace in view of his mystical solidarity with Adam, which is another necessary condition. 1.10.15. From these considerations it is evident that Our Lady was not subject to Law III. She was not included in Adam as moral or mystical head of the race; and absent this mystical bond, her receipt of flesh derived from sinful parents, themselves included in Adam, is not a sufficient condition for her own contraction of sin. Our Lady should have been subject to Law III because flesh derived from sinful Adam was involved in her active conception. The arguments for both grounds have been eliminated already. 1.11.0. Therefore, the first half of this paper is finished. A survey of the data of faith regarding original sin and its transmission has disclosed no tenable point of departure for a theological proof of the debitum peccati. There simply is no “owe,” “ought,” “had to,” or “should have” for the debere to express from this starting point. 2.0.0. However, the debitum-defender could assume the alternative starting point. Instead of reasoning from original sin (the so-called terminus a quo), he could reason from the meaning of the Immaculate Conception itself (the terminus ad quem of Our Lady’s redemption). The reasoning is considerably simpler by this route and might take either of two forms. 2.1.0. First and most fundamentally, a case for the debitum might observe that the Immaculate Conception is a redemption. Atqui a redemption is a freeing, deliverance, or rescue. Such terms strictly presuppose a predicament from which one is delivered, rescued, etc. For, if one is not redeemed from some predicament, one is not redeemed. In the context of Catholic theology, this predicament must be the state of sin or alienation from God. Therefore, whoever is redeemed must have been in a state of sin—either actually or potentially. From the universal, one may infer the particular: if Mary is redeemed, she must have been in a state of sin—either actually or potentially. The dogma of 1854 eliminates, of course, the former possibility (that she was actually in sin) but not the latter. Indeed, the prima facie wording of the dogma implies her potential state of sin by calling her redemption a “preservation.” For there is no preservation save from a potential (indeed, imminent) danger. The term “debitum peccati,” whether felicitous or infelicitous, simply denotes this subjection to an imminent danger (or potential state) of sin. Therefore, since it must be admitted that Our Lady was subject to this danger, it must be admitted that she had a debitum peccati. 2.1.1. The above argument fails for two reasons: its minor is methodologically incorrect, and its conclusion is unintelligible. The minor proceeds incorrectly because it amounts to the erroneous assumption that the entailments of a predicate (“redeemed”) can be inferred from its etymology. The conclusion is unintelligible because, so long as the debitum is taken as unconditional, there is no tenable answer to the question of wherein this “danger” consists. These contentions will now be defended, in reverse order. 2.1.2. Assume that the argument presented in 2.1.0. is sound. If so, there existed some real subjection to danger or potentiality for contraction of original sin in Mary’s case. It is necessary to say in what this real potentiality consisted, and (to this writer’s knowledge) there are but two candidates. One is the caro infecta allegedly involved in Mary’s active conception—an illusion dispelled above in l.lO.l0ff. The other candidate, more abstract, is Mary’s “subjection to the laws” of original sin’s transmission. But once these laws are correctly formulated (l.l.0ff. ), and the relevant sense of “law” is clarified (1.4.1ff., 1.6.2ff., 1.8.1ff. ), it becomes clear that no such subjection exists in her case. Therefore, it becomes unexpectedly difficult to say in what real factor this “subjection” or “potentiality” could have resided. This fact strongly suggests that something has gone amiss in the argument by which the existence of such a reality was posited—a suspicion confirmed by a look at the minor. 2.1.3. From the fact that deliverance from prison or a similar predicament is the original or etymological sense of “redemption,” it does not follow that such deliverance is the meaning of the term in actual usage. Medieval linguistic philosophy was already able to distinguish between etymology and usage (e.g. St. Thomas’s treatment of lapis, in Summa Theologiae I, q. 13, a. 2, ad 2), but certain influential hermeneutical theories of the 19th and 20th centuries have tried to reach deeper results (“primordial determinations”) by blurring the distinction. Apart from Heidegger’s curious renditions of the pre-Socratics, these theories have been applied mainly to the Biblical materials—with results which, from the standpoint of contemporary semantics, will rarely bear inspection. The merit of first recognizing the relevance of recent semantic method to the problem of what “redemption” might mean in Our Lady’s case belongs to J.-F. Bonnefoy. Neither his factual findings nor those of others (e.g. the usage of the term “redemption” as applied to the angels) need be repeated here. What matters for present purposes is simply the undeniable upshot of their researches, namely, that the actual usage of the term “redeemed” (and its cognates) in Scripture, the Fathers, and Church documents is too fluid to give cogency to the argument of the debitum-defender. 2.1.4. Moreover, it is both enlightening and amusing to note the semantic parallel between “redeemed” and “created.” Suppose that ‘x is redeemed’ presupposes a state of sin from which x was delivered. By similar etymological evidence, ‘x is created’ presupposes a nothingness or non-being from which x was drawn. Then, just as maculism is the claim that ‘x is redeemed’ entails ‘there is a time, t, such that x was in sin at t,’ so there is a medieval theory of creation according to which ‘x is created’ entails ‘there is a time, t, such that x did not exist at t! Aquinas’s attitude towards this theory is well known. While admitting that creation involves a real relation, with the creature as subject, he assigns as term of the relation not an antecedent nothingness but the Necessary Being by Whom esse is efficiently communicated to the creature. For Aquinas, then, ‘to be created’ means ‘to have existence as an accident from Another in whom existence is essential.’ Hence ‘x is created’ entails the logical contingency of ‘x exists’ but entails nothing about the duration of that existence. Hence the fact that the world had a beginning in time is taken by Aquinas as a datum of faith distinct from the datum of creation itself and not deducible from it. If the Thomistic theory of redemption had been less Augustinian and more closely modeled on the originality of Aquinas’s theory of creation, redemption might have been defined as ‘to have grace through the merits of another’ — formula whereby reference to an antecedent lack of grace would likewise have been replaced by preference to an extrinsic meritorious cause of grace. Then, at least, there would have been no Thomistic case for maculism. 2.1.5. To press the parallel a step further: suppose it is agreed that, if an entity which has its esse efficiently communicated to it ab alio is still “created,” even though the communication take place from eternity, then a person whose grace is communicated to her ex merito alterius is still “redeemed,” even though the communication take place from conception. By the debitist semantics of “redemption,” however, it would still follow that this person is redeemed if and only if she has at least a real or natural potentiality for original sin — a debitum contrahendi peccatum. Pari ratione, there is again a theory of creation according to which ‘x is created’ entails that ‘x of itself has a real potentiality for non-being’ or tends towards nothingness (a debitum non-essendi?). Shall we call this a debitist theory of creation? Whatever we call it, it is just the view of those Parisian theologians whom Cajetan considered too ignorant to be worthy of reply. These gentlemen had attacked Aquinas’ orthodoxy because the Angelic Doctor had maintained that there could be creatures (e.g., the angels and heavenly bodies) which were immutable in the sense that they had within themselves no potentiality for non-being. The line of attack is obvious: what cannot not-be, necessarily is; hence Aquinas makes certain creatures necessary beings, in which case they are no longer creatures—which is heresy. 2.1.2. Cajetan’s reply (which is of the highest interest philosophically because it contrasts the logical issue of modal operators with the metaphysical issue of act and potency) richly deserves to be applied to the debitum controversy. It consists of three points: (l) the attack envisages intrinsic potentialities only and hence fails to take extrinsic ones into account (i.e. though immutable in se, the creature might be mutable through a power existing in alio); (2) the attack posits in creatures a real potency which looks directly and primarily to non-existence, whereas in fact there is no such potency in anything (for, of course, non-being can hardly be the “act” of any real potency); rather, what is properly in question is whether every creature must, of itself, have a potency to some esse incompossible with its present esse — to which the answer is “no”; (3) most fundamentally, the attack confuses real with logical possibility, and real with logical necessity. In both usages “necessary” is defined as “not possibly not”; but real necessity denies in the entity any component (e.g. matter) which would persist through a substantial change and hence have a potency to another esse, while logical necessity means only that the terms of a proposition are so related that its negation is self-contradictory. Similarly, real possibility or potency is a potency within the substance in question, whereas logical possibility means only that the denial of a proposition is not self-contradictory. Thus in real terms, there are necessary (immutable) and non-necessary (mutable) creatures; but in logical terms, it can be said of every creature that it might not be (thus is logically non-necessary). Finally, because it is said that God has (de potentia absoluta) the power to bring about whatever is logically possible, the logical possibility that ‘a is not,’ where a stands for a particular creature, is correlated with a real power in God to bring it about that a is not (i.e. to annihilate a) — without there being in a itself any real potency to be other than it is. Similarly, in Marian theology, no one denies that the proposition, “Mary is immaculately conceived,” is a contingent proposition and that God had the power to bring it about that she was not so conceived, had He willed it. Hence the logical possibility of “Mary contracts original sin” is not in question. What distinguishes debitism is its insistence on a real possibility over and above the logical one. 2.1.7. The peculiar difficulty of saying wherein this real possibility consists has already been noted, and we may now add a further explanation of the difficulty: real possibilities are transcendentally relative to real acts, but a non-being (privation or disorder) such as original sin is not a real act. Therefore, there can be no such real possibility. Hence the debitist semantics of ‘redemption” leads to positing an absurdity — an absurdity exactly parallel to the “innate tendency towards nothingness” which Cajetan mocked. 2.1.8. By contrast, a non-debitist semantics of “redemption” is exactly parallel to the Thomist semantics of “creation.” Mary can be called “redeemed” simply because she does not of herself possess grace but has it from another (because there can be no creature to whom grace is connatural) and through the merits of another (because all the grace which has come into the world has come through the merits of Christ). Hence “Mary is immaculate” is a contingent truth. Its negation is contingently, not logically, false. Mary could be said to need no redemption if and only if her elevation to grace were somehow necessary. The human soul of Jesus is elevated to grace as a necessary effect of the hypostatic union, but nothing in Mary’s ontological make-up requires her grace. Her elevation is and remains God’s free gift. 2.1.9. Nothing in this argument is weakened or changed by the additional qualification of “preservative” redemption. “Preservative” expresses the fact that in Mary’s unique case the grace flowing from Christ’s merits is communicated to her without there having been any antecedent state of sin in her. Grace and sin are related as contradictories (like light and darkness), not as contraries. Unlike contraries, contradictories can only replace each other without intermediacy. Hence the grace coming to her simultaneously with her existence can be called “preservative” because its existence in her was not preceded by an actual state-of-sin and because its existence in her replaced any logically possible state-of-sin. The distinction between logical and real possibility is once again crucial; for it is impossible to show that the ratio of “preservation” requires anything more than logical possibility. 2.1.10. To confirm this point, it will be well to formalize somewhat the very complex notion of “preservation.” One finds that one is dealing with a many-sided relation, involving at least one agent (x) which preserves, an object(y) preserved, an undesirable predicate (F) which y is preserved from having, a predicate of integrity (G) which y has as a result of some action of x upon y (xRy), and hence (it is presupposed) a predicate (H) which x has and by virtue of which x is able to act upon y with the desired result (Gy). In other words, what counts as an instance of “preservation” is not some one thing or property, but rather a whole causal situation. One is dealing with a causality of x upon y, but one calls this causality a “preservation of y” if and only if the following additional conditions are met: the predicates F and G are mutually exclusive, and it is at least sometimes better that a thing be G rather than be F, and there was never a past time, tp, when the thing acted upon was F (otherwise, one would have “restoration” rather than “preservation”), and apart from this causality, it is at least logically possible for the thing to be F (otherwise, one might have a case of “immunity” or even “incorruptibility,” but hardly “preservation”). The above account is intended to serve only for relatively simple cases. More complex situations, such as those in which the free cooperation of the party-to-be-preserved is required, would have to involve some additional stipulations. Since Mary’s free cooperation was not required in her Immaculate Conception itself, it seems possible to use this mystery as an ‘interpretation’ of the account here given. We replace the variables ‘x‘ and ‘y‘ with individual constants ‘a‘ and ‘b’ respectively; then let ‘a‘ and ’b’ stand for God and Mary respectively, ‘R’ for infusion of grace, ‘F’ for contraction of original sin, and ‘G’ for being filled with grace. 2.1.11. Therefore: since the logical possibility in question means only that, if both Mary and original sin exist, “Mary contracts original sin” is contingently, not logically, false; and since this logical possibility is therefore not denied even by those who reject all debitum in Our Lady, it follows that the argument from the meaning of “redemption,” if rightly carried out, concludes only to what no one denies. Hence the argument creates no basis for the debitum. (A) Mary would have contracted original sin, if she had not been preserved. This is the counterfactual conditional which was mentioned in the introduction to the present essay. As soon as (A) is admitted, it becomes possible, even necessary, to raise a further question: why would she have contracted the sin? If she would have contracted it, there must be some reason why she would have contracted it. Nothing happens without a reason. Therefore, if she truly would have contracted, there must be some cause by virtue of which she would have contracted sin, if God had not caused the opposite. And so we have cause against cause. Our Lady, it seems, was subject to two causalities — the one to make sin, the Other to make grace — so related that if the Other had not preserved her, the one would have corrupted her. This subjection to a corruptive cause is just the meaning of her debitum. The nature of the corruptive causes — whether something intrinsic to Mary’s make-up (e.g. the caro infecta) or something extrinsic (e.g. a law conceived as some sort of impersonal “force” existing in the real) — is left to speculation. What is crucial is not the nature of the cause but the necessity to posit one, if she truly would have contracted. 2.2.1. There is thus a peculiarity to the debitum proposed by way of this argument. Unlike the previous versions, this debitum arises from a counterfactual conditional and requires the use of such a conditional in its statement. Hence it is often called a debitum conditionatum or hypotheticum. But here one must note some ambiguities; for in fact to propose such a debitum might be tantamount to any of three distinct claims. 2.2.2 First, one might be claiming that the conditions sufficient for anyone to contract original sin existed in Mary’s case in the actual world, so that she would have contracted — indeed, would necessarily have contracted the sin — if only events had taken their normal course. On this view, the corruptive cause to which Mary was “subject” really existed and would have borne its bitter fruits, if God had not “intervened.” But this claim (despite the cosmetic improvement of using counterfactual phraseology) is the old piece of incoherence we have remarked already at length, namely, the untenable claim that a truly sufficient condition may obtain and yet its consequent not obtain (vide supra, 1.6.2-1.7.2). Hence, if the debitum conditionatum amounts to this first claim, it presents nothing new and has been refuted already. 2.2.3. Secondly, one might be claiming only that the conditions sufficient for anyone to contract original sin might have existed in Mary’s case, and that if they had existed, she would have had to contract the sin. On this view, the corruptive cause is not alleged to have existed in Mary’s case in the actual world; hence she was not actually subject to such a cause but only potentially subject. In such a position, there are novel elements not yet considered in this essay. Here the debitum-defender is no longer obliged to allege a real potency in Mary. (Of course, he might continue to do so; he might invent a remote real potency to have the proximate real potency to contract; but he has no real need of such maneuvers.) He requires only the logical possibility of some situation in which Mary contracts necessarily. Then, if he can actually stipulate that situation by stating it in the protasis of a counterfactual conditional whose truth is certified, he establishes his case. 2.2.5. It is open to question, however, whether so weak a claim as this last any longer counts as a version of the debitum. Many authors who deny all debitum in Our Lady have admitted the truth of one or more counterfactuals of the type in question. But here again the argument is beset by ambiguities. For example, so long as the debitum itself is taken to be some sort of obligation in justice to contract the sin, one might rightly deny that such an “obligation” makes any sense and yet affirm that there are circumstances under which Mary factually “would have” contracted. In such a case, to hold that the admission of a conditional formula is not the admission of a debitum (and is in fact consistent with the denial of all debitum) makes good sense. But suppose the debitum itself is taken to mean only a conditional “necessity” to contract the sin. In other words, suppose the debitum just means that there is known to theology a sufficient condition, under which anyone contracts. Then the debitum conditionatum will mean only that if that condition had been fulfilled in Mary’s case, it would have been sufficient in her case also; hence she would have contracted the sin necessarily. In such a context, the assertion that a theologian may admit the truth of a conditional formula while denying all debitum becomes rather suspect. Does such a theologian mean to say that there is no sufficient condition for the contraction of original sin? That there may be one, but theology does not know it? That in the very situation in which Mary would contract sin, she would do so merely as a matter of brute fact and not under the intelligibility of a known law? Such claims are distinctly curious; one doubts that any theologian has intended to make them. Hence, where the debitum merely means a nomological necessity, and where the debitum conditionatum merely means that in some specifiable circumstance, Mary would have been subject to the law and hence would have contracted necessarily, there is no sound distinction between admitting the truth of an informative (non-analytic) conditional formula and admitting the debitum conditionatum. 2.2.6. Nothing advanced in this essay excludes the possibility of such a debitum conditionatum. A forthcoming sequel to this paper will set forth a general critique of Marian counter-factual formulae. 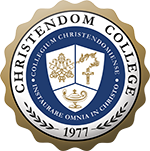 Next Next post: Why Liberal Arts At Christendom College?